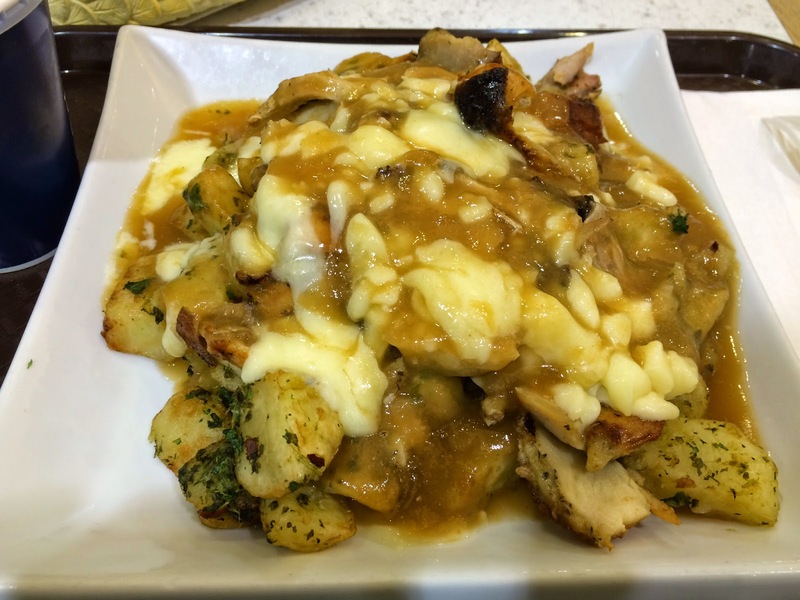 I had my last poutine during this trip at "Basha" located at a food court in Place Montreal Trust. 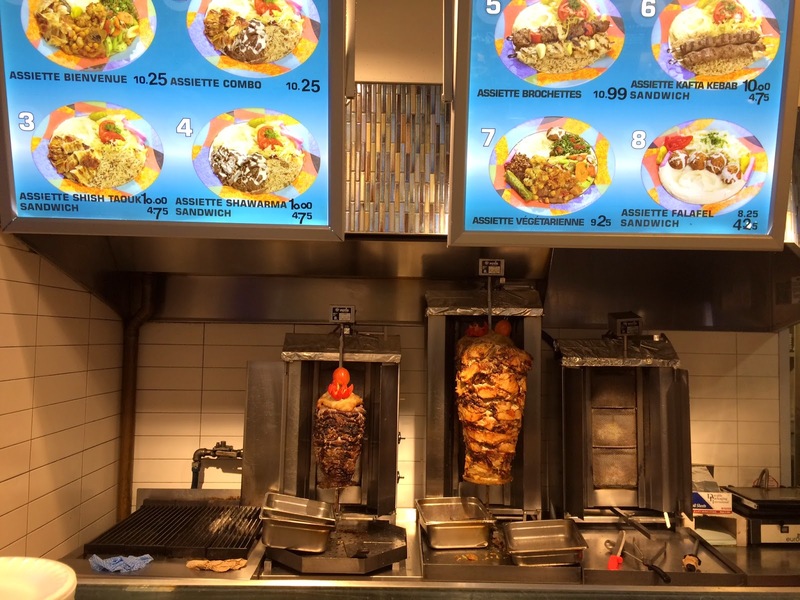 It's a Lebanese food chain and there're doner kebab in the kitchen. 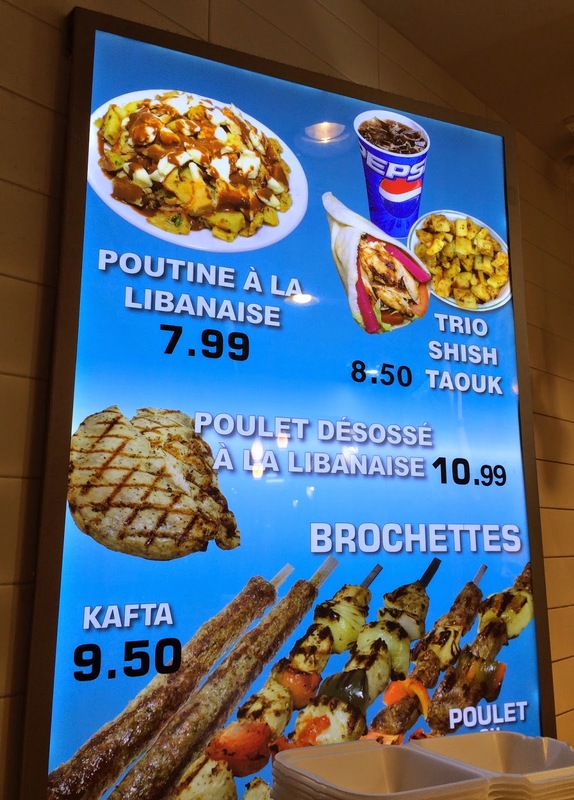 They only had "Poutine à la Libannaise," which is Lebanese style poutine. I could choose from beef or chicken, and I chose chicken. Some pieces were white and the rest was either dark or crispy grilled skin. However, they're well seasoned with spices and I didn't smell much thanks to the saltiness. 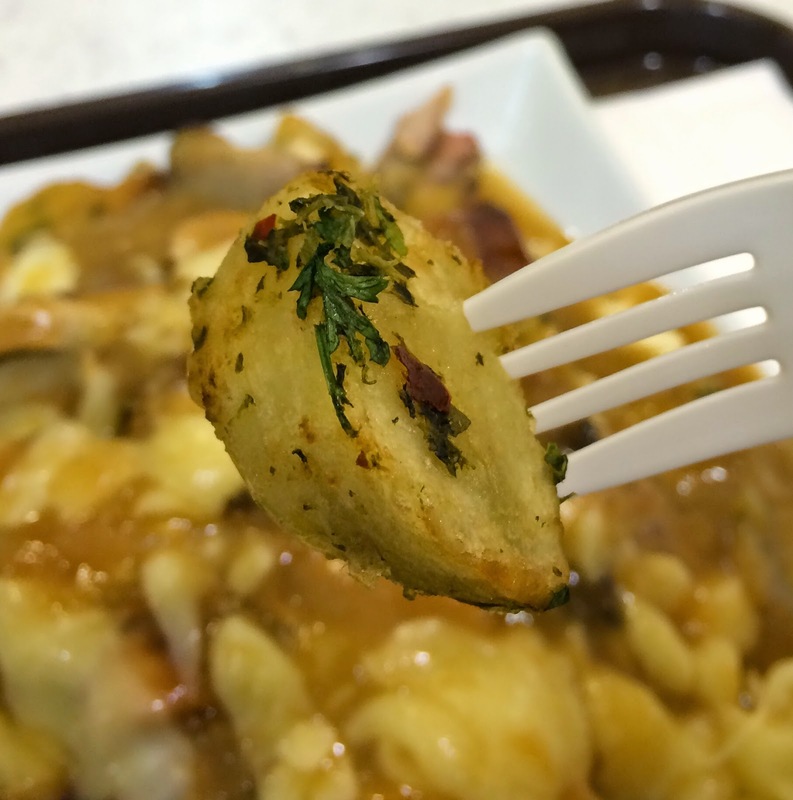 Potatoes weren't traditional fries for poutine (thick elongated fries) but similar to wedge cut. 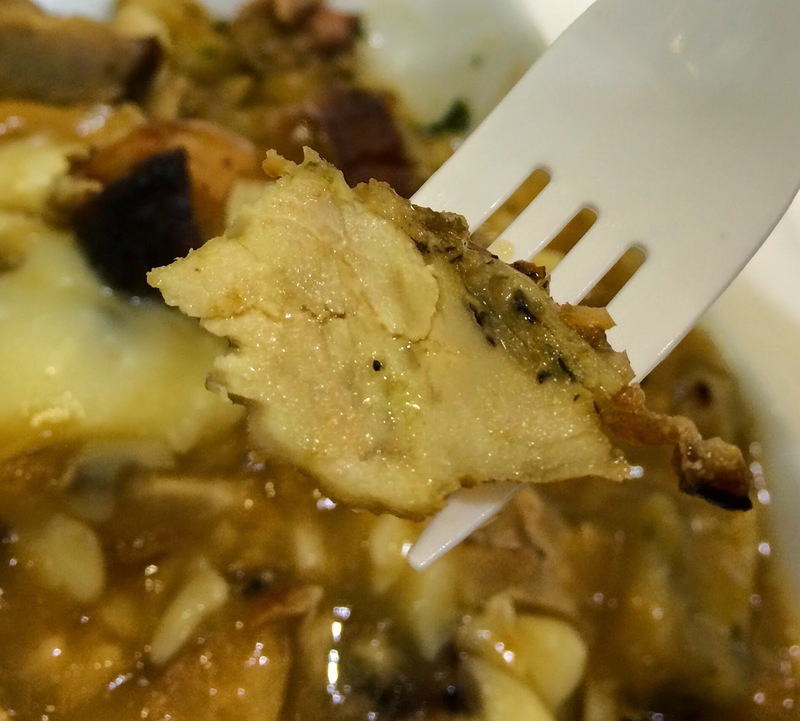 They didn't have crispy surface due to the gravy and the texture was close to baked potatoes. 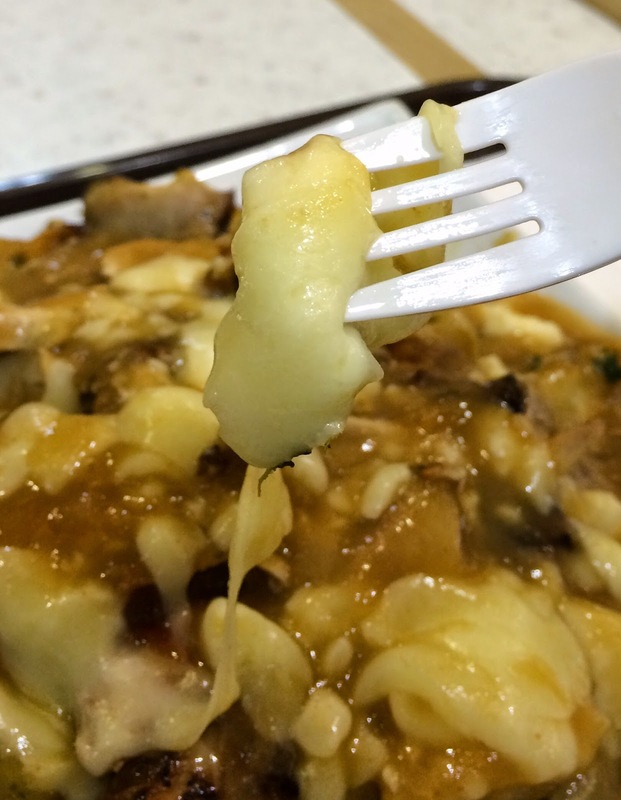 Cheese curds were melted, or they didn't use real cheese curds. The gravy sauce had spice flavors, and parsley made the sauce refreshing by adding the scent and subtle bitterness. 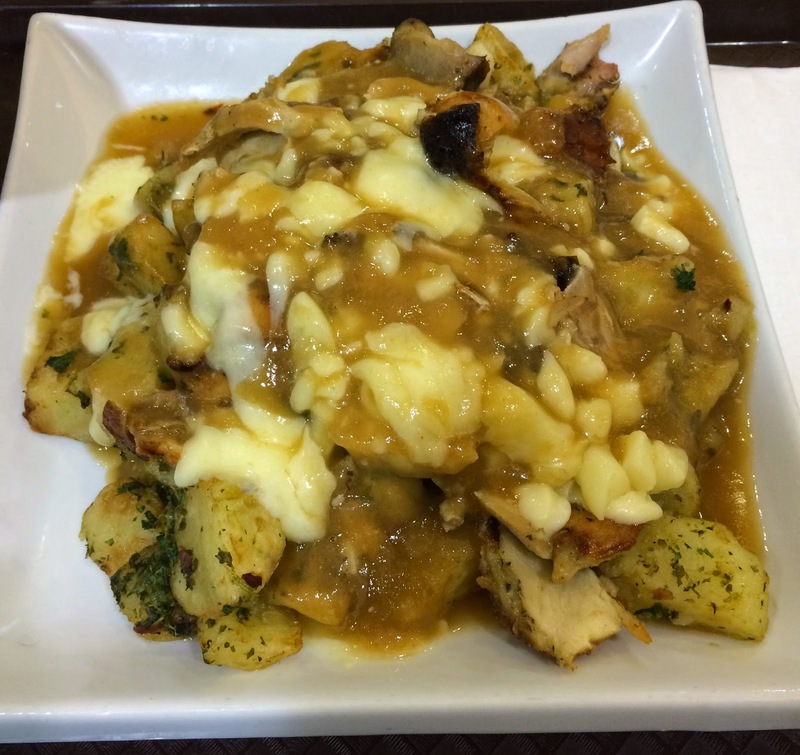 I don't think I can call this "poutine" because of the flavor of the gravy sauce, cut of the fries and non-cheese curds (as far as they looked).